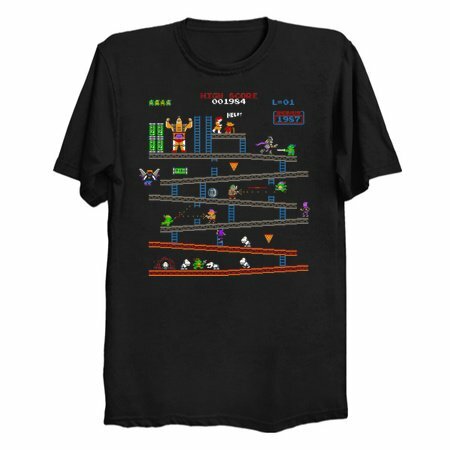 There was a game a-foot in the construction zone, but the big ape they called Kong had run out of extra lives and left the position of boss wide open. 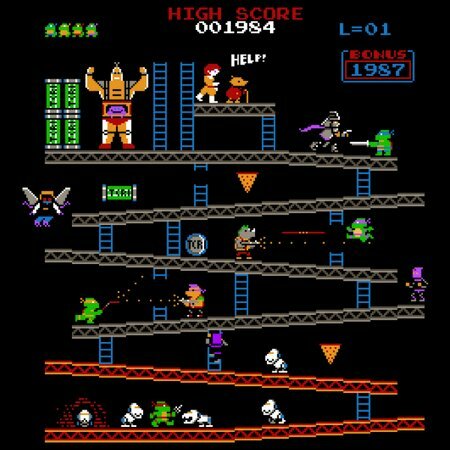 When Donkey Krang saw the open seat at the top he swooped in and laid mousers all around him, then he called in those boneheads Bebop and Rocksteady to help secure the location. April had been on the scene covering the previous plumber versus gorilla story and got caught in the middle, just as the ninja turtles arrived looking for the source of those mysterious pizza slices floating around town. Will these teenage mutant misfits be able to save April and make it past the kill screen, or will their high score be replaced by Shredder?